After the success of the Bang & Olufsen Beoplay E8 wireless earphones, the Copenhagen based brand has released a Special Edition. 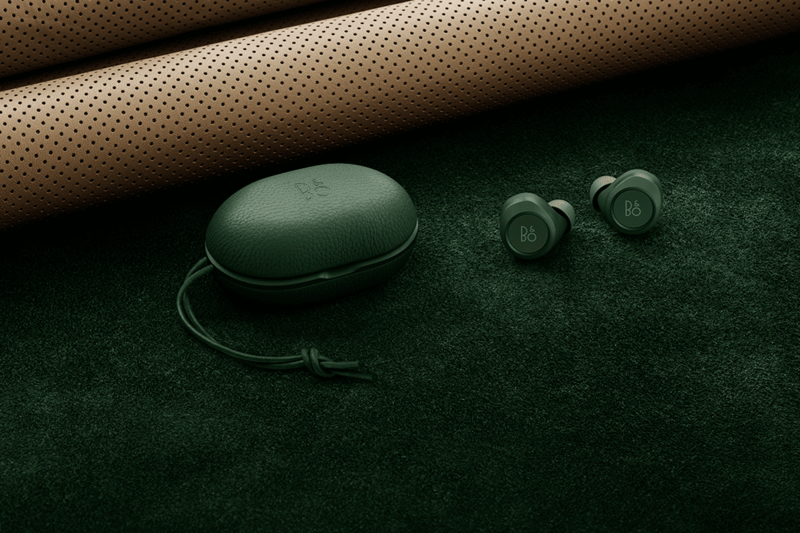 It’s a fourth product in the Special Edition Collection and named Beoplay E8 Racing Green. As you’d expect, a nod to the emotion, passion and feeling of a historic colour famous for being fast. The deep, rich green shade is inspired by perhaps the most iconic colour of car racing, British Racing Green. A colour synonymous with performance, cutting-edge technology and classic sports cars. As you’d expect from B&O, the Beoplay E8 Racing Green delivers superb sound and a seamless listening experience on the move. The earphones combine Digital Sound Processing and B&O Signature Sound with an ergonomically engineered fit to sit comfortably into your ears. The Beoplay E8 Racing Green earphones also come in a stylish leather case for charging on the go, with up to 12 hours of playtime. The earphones feature an intuitive anodised-aluminium touch interface which provides control over music, calls, voice commands and Transparency Mode activation. Furthermore, the Beoplay App for Android, iPhone and Apple Watch enables a personalised listening experience, including fine-tuning the tonality and sound staging through the ToneTouch feature, and matching the sound to different types of activities and situations. Beoplay E8 Racing Green Special Edition is available at beoplay.com/e8specialedition, in selected Bang & Olufsen stores, as well as at selected retailers, starting August 8, 2018. The earphones come with the aforementioned leather charging case, five eartips and a charging cable. Beoplay E8 Racing Green retails for £269. While the trend for wireless earphones has somewhat been dominated by Apple and its EarPods, we can’t help but thinking following the crowd isn’t a wise move. We’ve can’t knock Apple’s offering in the same way we can’t knock a VW Golf but for those of you looking for something a little more niche and unique, the E8 is a strong choice.